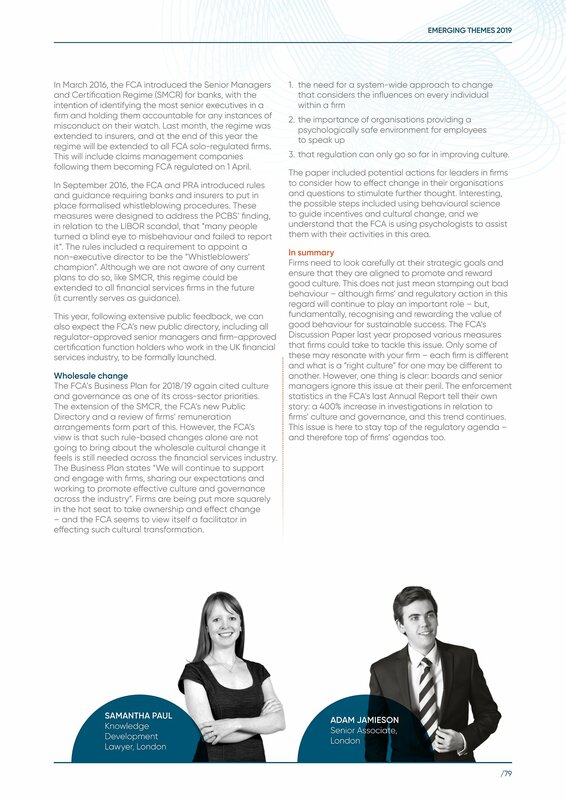 regime will be extended to all FCA solo-regulated firms. following them becoming FCA regulated on 1 April. (it currently serves as guidance). services industry, to be formally launched. and governance as one of its cross-sector priorities. feels is still needed across the financial services industry. 3.that regulation can only go so far in improving culture. them with their activities in this area. firms’ culture and governance, and this trend continues. and therefore top of firms’ agendas too.